Engage: create an activity that engages the child, ideally an experience from real life. Explore: create opportunities for exploring the idea viz. let children use different cricket bats of different weights on the field. Explain: explain the phenomenon observed by giving it a name e.g. what they saw was indeed Newton's second law of motion at work. Expand: help create connections to more complex ideas and thoughts on the subject. Evaluate: test and assess the students' understanding to know whether they have actually been able to breakdown, digest and understand what was learnt. We strictly adhere to these five Es in our pedagogy. The new technological era has redefined the parameters of educational processes. The teacher is no longer the "Provider" of knowledge ,but a facilitator who uses the world of knowledge by use of computers,Internet, LCD projectors. We at Mind Tree believe that learning is centered on following basic parameters. Student Centered Learning: At Mind tree we realize that each student is different and so a need arises to give Student Centered Learning wherein each student is given an opportunity to come at par with what is required. Special classes for weaker students and also helping those who need special attention in one or the other subjects leads to overall, broad, and complete educational experience by the child. Project Based Learning & Learning to Implement: Project based learning provides a platform to child to showcase his/her latent talents and innovativeness.Proejcts in Maths and Science ensures long term learning and clarification of the concepts. It also gives an opportunity to passive learners and makes teaching fun. Mulitple Intelligence Theory:- We understand that different individuals have different aptitudes. Our faculty utilizes the multiple intelligence theory of Dr. Howard Gardner to make their teaching more effective and clear where they understand that every child can be benefitted by the implementation of some or the other intelligence. By using the strongest aptitudes or 'intelligences' as a starting point, our educators educate more effectively by teaching different students the same topic in different ways according to their particular 'intelligences'. Mintree Senior wing is a very successful comprehensive school. We are well established in our local community with a consistent record of high standards. This is attributable to excellent examination results and acknowledges our caring and disciplined environment, combining formality with good relationships between teachers and students. 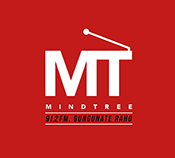 Mindtree seeks bright, motivated, and curious students who possess imagination, energy, a willingness to take risks, a concern for others, and a commitment to academic and personal growth. The school's first curiosity is in your own abilities — your inquisitive mind, your initiative, your willingness to pursue a subject deeply and to think independently. We are also interested in what you have accomplished with those abilities — how you have ventured beyond your known talents and whether you have shown excellence in some things. 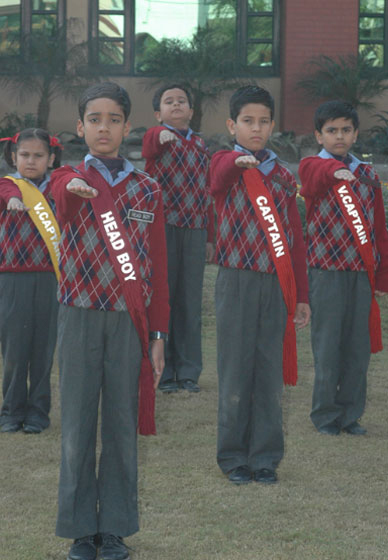 In terms of activities, the senior wing balances all elements of teaching and personality development. With an emphasis on basics and building the fundamentals of students, the school balanced it exposure to extra-curricular activities and excursions. The academic focus of the school in the senior wing is balanced with a healthy exposure to sports. 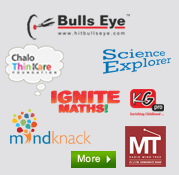 Students have a wide variety of activities to choose from. 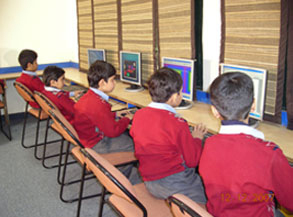 An added feature of the school is the career counseling provided to students in the senior classes, as it is a pivotal time of a child's life and his decisions matters for life. As far evaluation of students goes, Mind Tree School follows Continuous and Comprehensive Evaluation (CCE) which refers to a system of school based evaluation of a student that covers all aspects of a student's development. It is a development process of student which emphasizes on two fold objectives. These objectives are continuity in evaluation and assessment of broad based learning and behavioural outcomes. The term 'continuous' is meant to emphasize that evaluation of identified aspects of students 'growth and development' is a continuous process rather than an event, built into the total teaching-learning process and spread over the entire span of academic session. It means regularity of assessment, frequency of unit testing, diagnosis of learning gaps, use of corrective measures, retesting and feedback of evidence to teachers and students for their self evaluation. The second term 'comprehensive' means that the scheme attempts to cover both the scholastic and the co-scholastic aspects of the students' growth and development. Since abilities, attitudes and aptitudes can manifest themselves in forms other than the written word, the term refers to application of variety of tools and techniques (both testing and non-testing) and aims at assessing a learner's development in different areas of learning. The Academic Year for Grade II onwards comprises of two terms: April to September and October to March. Formative Assessments are conducted during each term and a Summative Assessment is held at the end of the term. Promotion is based on the year's work of the student. Hence, due importance must be given to the Formative Assessments including Projects, Quizzes, Debates and other activities and also to regularity in attendance and work.